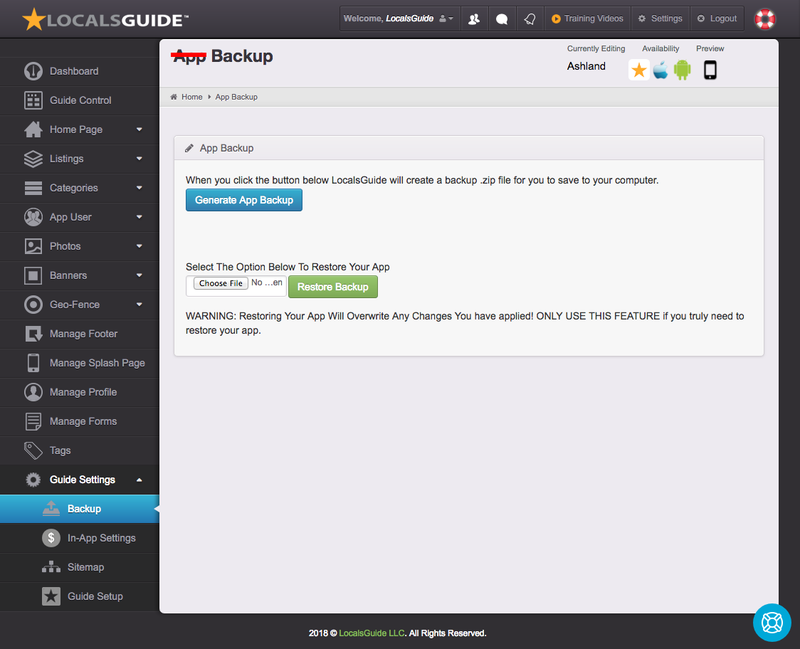 Generate a backup of your full guide. Restore it anytime. 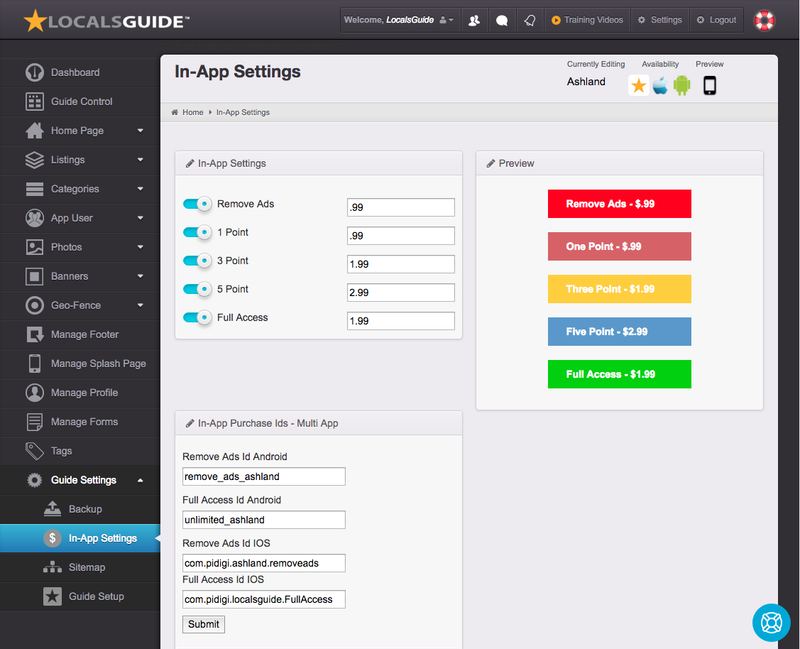 Monetize your app with In-App Purchases. Turn on the points and assign them a value. 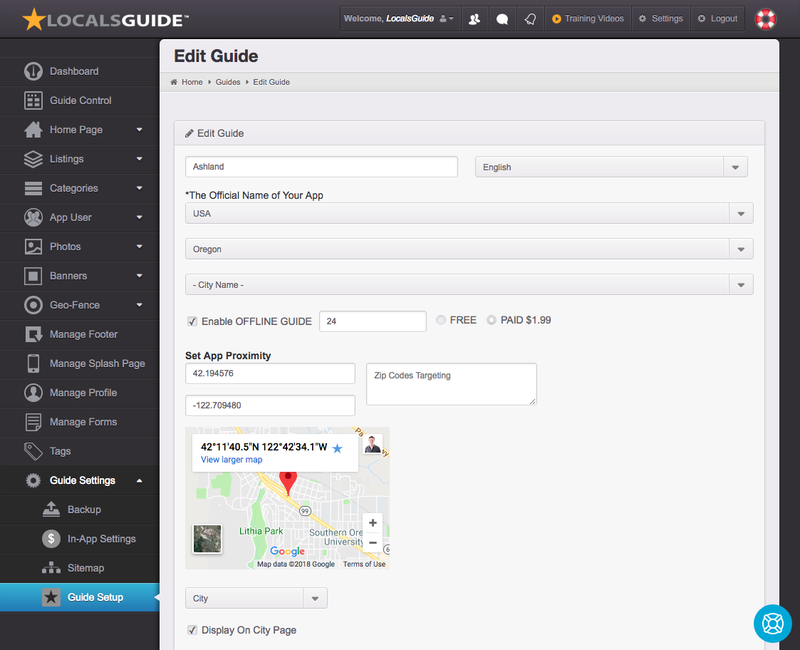 Then go into the Footer settings to allow for the In-App Sales page to display. Finally assign the point price in add / edit categories. Export an advanced Word Doc site map of your entire Guide. Use this to plan, organize and keep track of large and complex projects. 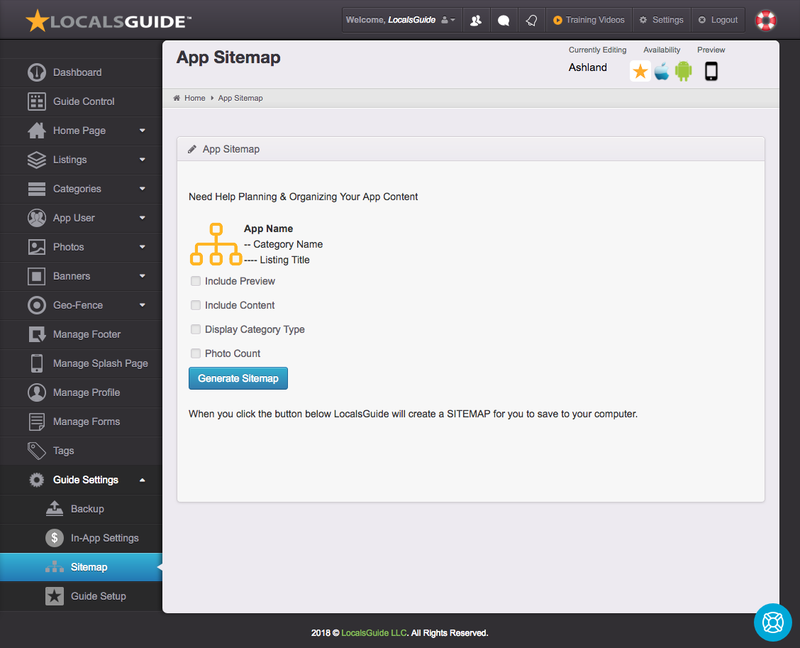 Insert a table of content to turn your site map into an instant an printable guide. Manage all core guide settings here.